Wildlife Will Be Shocked By the Effectiveness Of Deerbusters Electric Fence Supplies. Sometimes, wild animals just don't get the hint; and we, as both property owners and home gardeners, want to protect our crops from deer damage and grizzly bears. When wild animals have used up all their chances for a peaceful resolution, consider installing electric fence for deer from Deerbusters to jolt a response. Our "stun" fence from Deerbusters.com give whitetail deer and black bears a friendly reminder to stay away from organic gardens. 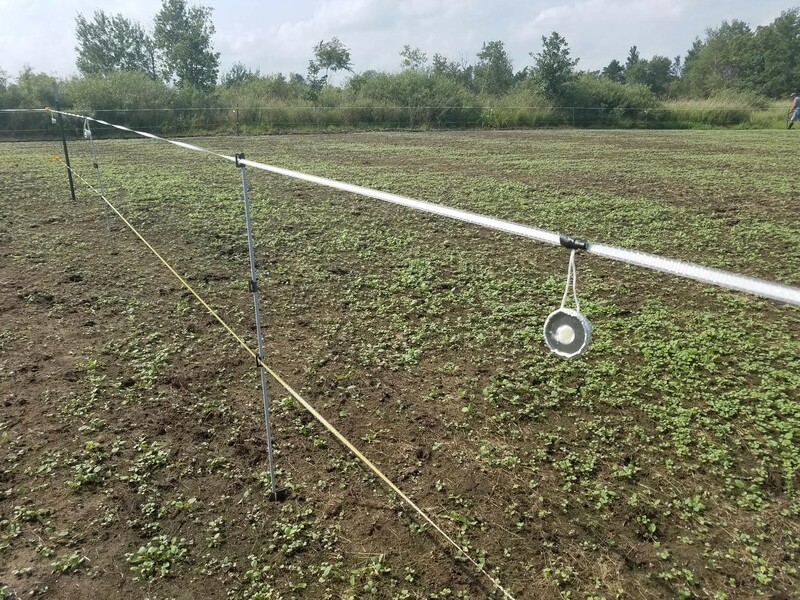 Electric fencing is the only non-lethal method for bear control around farms and gardens. Generally, bears pig-out in the fall season, eating as much as 90 pounds of food each day in preparation for winter hibernation. While grizzly bears are most active in the spring and summer months, they can awake from their hibernation state as early as February to visit home gardens in search of sweet-tasting plants and honey from beehives. This is why gardeners need to install electric fencing for bear deterrence. An electric bear fence is the only way to keep bears from ruining gardens. The shock factor will be unbearable for all types of bears. 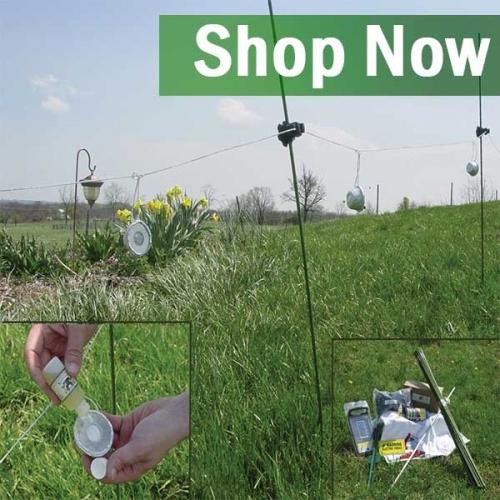 Deerbusters electric fence supplies (batteries, electric fence insulators, etc) include everything from solar and battery-powered fence energizers (the power source), to baited electric fence parts. The voltage of electric animal fence is high enough to deter deer from attempting to ruin your garden. 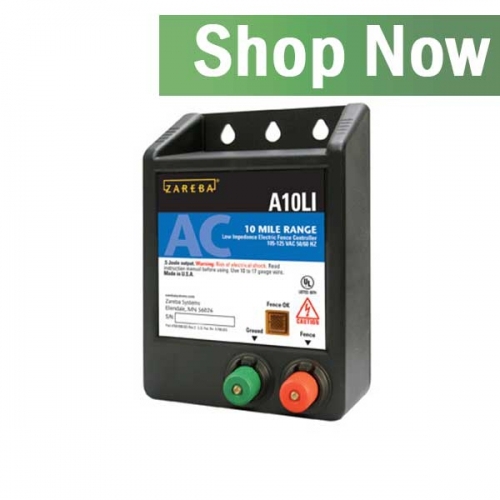 With just one zap, deer and other wildlife will move away from your garden. Feel free to call us to learn more about how to use deer electric fence for deer and bear management.